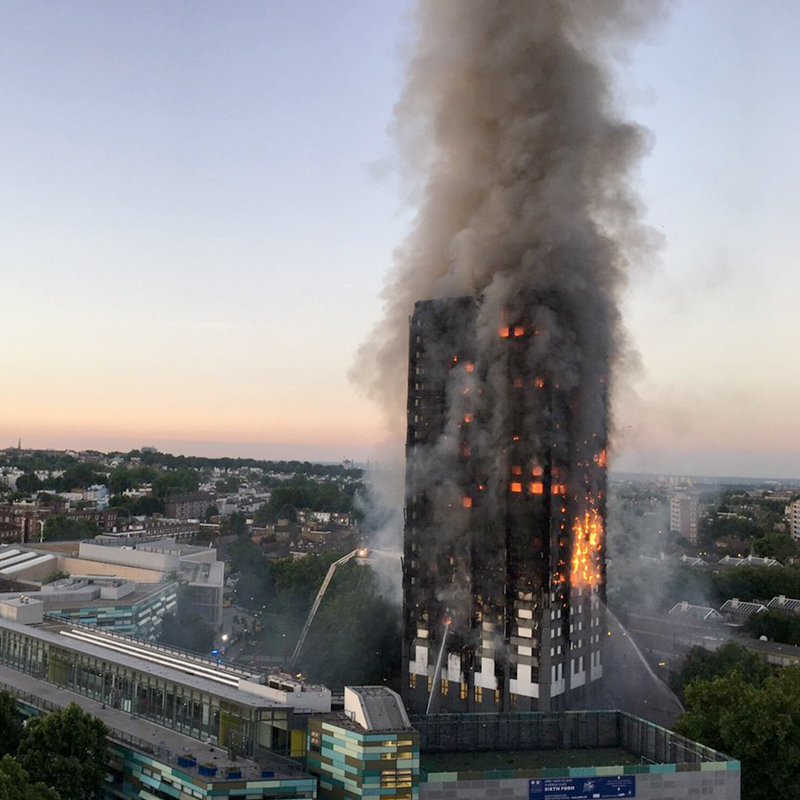 We have all seen the tragic photos of the Grenfell Tower fire and the devastating speed the fire spread through the building. Our thoughts must go to those who lost their lives and to the bravery of the fire fighters and other emergency personnel who fought so hard to battle the fire and rescue those involved. Sadly, this isn’t a rare occurrence. Over the last two years we have seen fires spreading quickly up the outside of high rise buildings in the UAE, Australia, the USA and Ireland. So why is this happening? It may be due to the approach of adding additional insulation to buildings on the external wall, it offers a practical solution to make existing buildings more energy efficient. It works by attaching the panels to the external wall of the building. The most common panels are often made of ACM (aluminium composite material) with a low density internal core which is not always fire resistant. The risk lies in that when a fire within a flat penetrates through to the cladding, whether via a failed window or a failure in the fire compartmentation, the radiated heat can cause the core to ignite and as such let the fire spread rapidly. Once this occurs the fire can bypass the buildings fire compartmentation design and allow the fire to spread from compartment to compartment. In the case of Grenfell Tower this has not been proven that this is the case. However, footage of the spread of the fire suggest it may be a possible cause. As to why the fire spread through the flats themselves is something that will be investigated for some time into the future. The Building Control Regulations 2010 require construction firms and architects to consider external fire spread as part of the building design. Employers and any person with responsibility for fire safety should consider a serious review of the fire safety measures within their buildings to ensure the safety of those within them and should ensure that those they employ to assist them in meeting their legal and moral requirements are accredited or suitably competent for the role with which they are entrusted.